March is the month of American Red Cross which was declared by President Franklin Delano Roosevelt because of organization’s assistance and activities in World War II. Red Cross is an eminent name for providing services in both military and civilian sects of human race across the globe, since last 70 years. 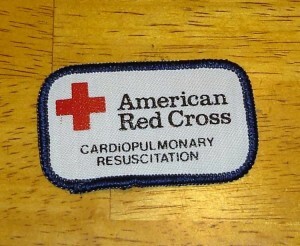 Red Cross bears with 70,000 Americans in disasters every year. Training of over nine million individuals for basic first aid, collection and distribution of blood which is the 40 percent of total blood supplies are worth mentioning services of the organization. Red Cross is also an active member of military installations supporting families of soldiers, soldiers and other member in a war zone around the world. The American Red Cross has sustained its custom of assisting not only military service members but their families also. Messaging service of Red Cross operates 24/7 a week and 365 days a year, this service is a very reliable connection between service members and their families relaying all sort of urgent updates timely about births to deaths among them. This service also assists commanders in maintaining their soldiers’ leaves and causalities records accurately. Red Cross serves as a bridge among soldiers and their loved ones helping them in all their financial and legal or even emotional matters by counseling them. In the Central Prairie area of San Antonio Texas Charlotte Henley addressing the sessions said” You’re busy ticking items off your list at the supermarket when a woman pushing a cart just ahead of you suddenly collapses. Her heart is no longer beating and she’s not breathing. What would you do? If you had training in hands-only CPR (cardio-pulmonary resuscitation), your efforts could mean the difference between life and death” she is the lead CPR instructor of the area. In March Central Prairie American Red Cross has planned free sessions of hands-only CPR Blitz at the Campus Center, 333 Ninth St. S.W. Session will be every half hour between 9 AM to 2 PM on Saturday March 9. Also an annual “Heroes for the American Red Cross” campaign is aimed to collect some funds from 9th march till 31st march, and funds collected during this campaign will be utilized for disaster management and buying first aid/ emergency equipment’s like AED’s used for CPR.